"Listen up, Sonny Boy. I know you think you&apos;ve learned a thing or two and that&apos;s great. But step aside, Big Daddy&apos;s got money to make." Icahn sold 2.99 million shares of Los Gatos, California-based Netflix starting on Oct. 10, as it approached new highs, according to a regulatory filing yesterday. He continues to own 2.67 million shares, or a 4.5 percent stake. The investor and his son outlined their differences in a statement. Icahn said the decision to sell was his, and it was time to collect profit, while Brett Icahn and fund co-manager David Schechter argued Netflix still has significant growth potential. The pair rewrote their contracts so the performance fee they receive from Carl Icahn will reflect any subsequent gains or losses on the Netflix shares sold at his direction. Icahn, 77, said his cost was about $58 a share, suggesting a gain of almost $800 million from the transactions. 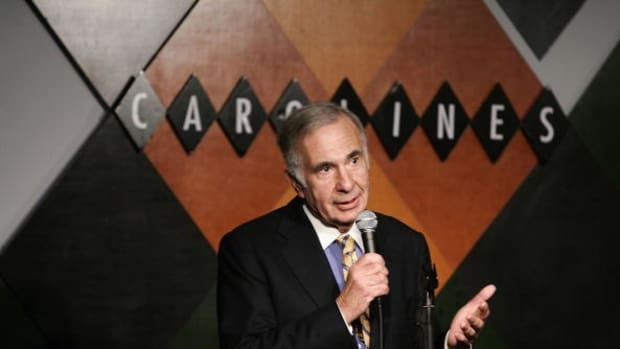 “As a hardened veteran of seven bear markets I have learned that when you are lucky and/or smart enough to have made a total return of 457 percent in only 14 months it is time to take some of the chips off the table,” Icahn said. He didn’t respond to a call for further comment. "Brett, you were right" is worth at least that much. If you listen closely, you can hear the sound of Tim Cook whimpering. Who Is Doing What To Whom On Carl Icahn's Netflix Trades? Their most recent agreement has expired and Icahn the Elder drives a hard bargain.